Futuristic Inventions You Won't Believe Actually Exist! Tiny computers, smartphones, instant messaging and video conferencing were all fanciful science fiction inventions up until about twenty years ago. Now they are so ubiquitous, we hardly give them a second thought. But what about all of those cool inventions that movies, TV and science fiction promised us like flying cars, robot fighters, and bionic body parts? Believe or not, some are actually real, and poised to shape markets of tomorrow. Here are some science-fiction like technologies and inventions that some companies brought to life in today's time. Hoverboards were a key component of the film Back to the Future and to date, no one has invented a device that actually hovers over the ground. 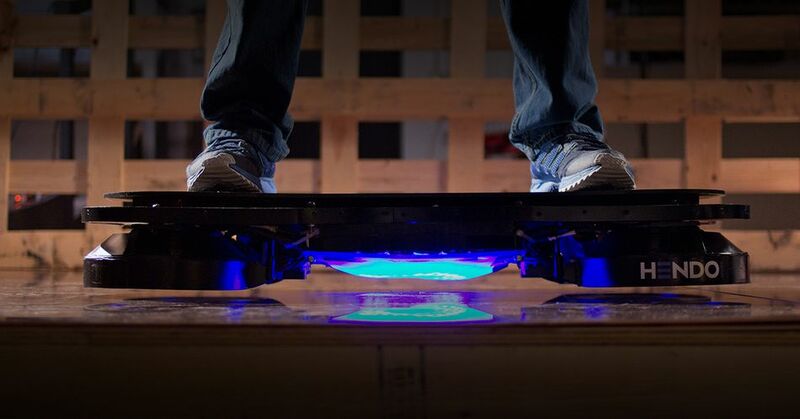 However, "hoverboards" with wheels that create the illusion of hovering have been introduced with mixed results. Reports of the hoverboards causing or catching fire curbed sales of the devices. Nanotechnology is the manipulation of matter on an atomic, molecular, and supramolecular scale, and the field has plenty of possibilities in a number of areas, including medicine and energy production. Scientists have worked to create polymer-based nanoparticles that can target and kill MRSA. Soylent is a company with a simple proposition: "What if you never had to worry about food again?" While Soylent is a nutrition shake and not a pill, it still promises complete nutrition in powdered form. Founder Robert Rhinehart developed Soylent after realizing how much time he could save if he didn't have to prepare food. But will Soylent catch on with a public hungry for delectable treats? Time will tell. One of the coolest sci-fi technologies in the film Minority Report were the air-touch screens, liberating computing from the desk and even the hand-held device. Thanks to the Taiwanese company Industrial Technology Research Institute, the possibility of computing with an air-touch screen is becoming closer than ever. An Iron Man-like "smart suit" that confers upon its wearer extra protection and superhuman strength? Lockheed Martin is working on just that in the HULC exoskeleton, "a completely un-tethered, hydraulic-powered anthropomorphic exoskeleton that provides users with the ability to carry loads of up to 200 pounds for extended periods of time and over all terrains. Its flexible design allows for deep squats, crawls, and upper-body lifting." The HULC is being developed for use in military conflicts. Remember the replicator from Star Trek? The explosion of 3D printing over the past few years has produced innovations just as dazzling, from rapid prototyping to medical applications. Right at the forefront of this trend are companies like Makerbot, which put powerful 3D printing power right in the hands of consumers. We all know about Dolly the sheep, the first successful mammalian clone. But did you know there's a South Korean company that for a hefty fee (around $100,000 to be exact) will clone your beloved dog? It's true -- Sooam Biotech will supply you with an exact genetic replica of your beloved pooch, treats, training and TLC not included. With the rapid acceleration of new technologies and increasingly clever utilizations of that tech, we know the future has plenty more surprises in store.